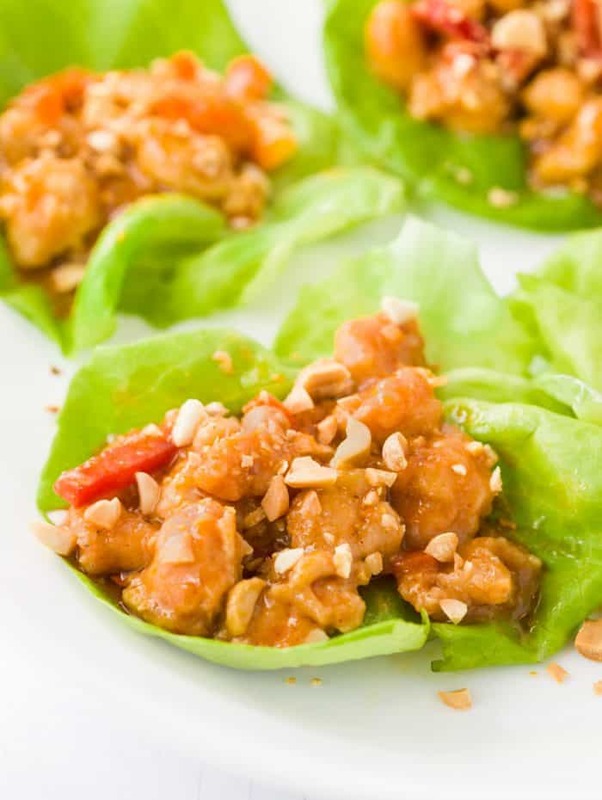 These firecracker chicken lettuce wraps are tossed in a sweet and tangy firecracker sauce and topped with sliced bell peppers and crunchy peanuts. A big thanks to Hannaford for sponsoring this post! All opinions are my own. Honestly, my mouth waters every single time that I think about this Firecracker sauce. 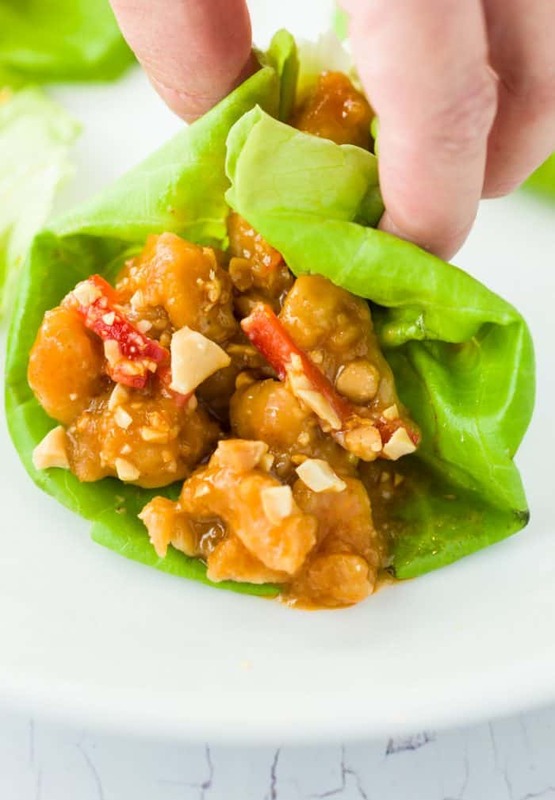 It really takes these chicken lettuce wraps to the next level. I’d say the best way to summarize this sauce in a single word would be tangy. 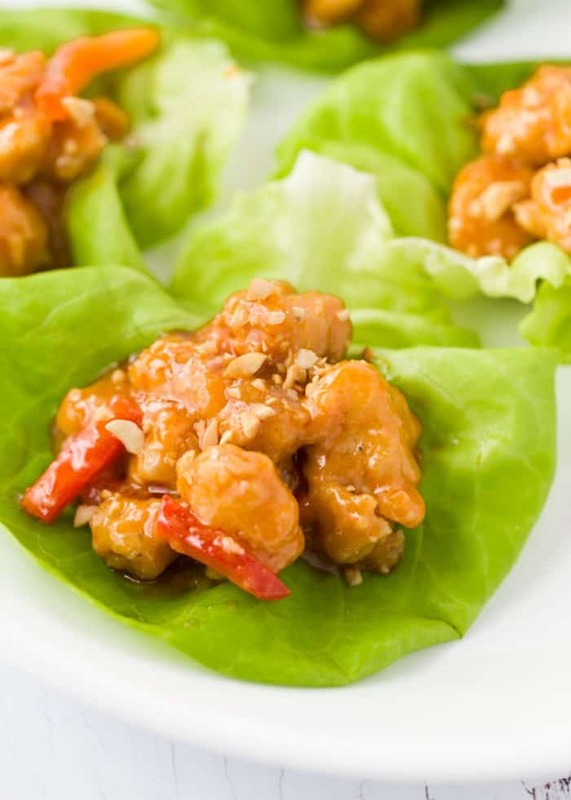 And a fresh piece of crisp and crunchy lettuce is the best way to accompany the flavors in that tangy chicken. But since I can’t actually spend my life doing these calculations on everything that I buy, I do almost all of my grocery shopping at Hannaford. And what’s even better is their new My Hannaford Rewards program, which allows shoppers to earn 2% rewards on the food they buy most often. Can you beat that? I don’t think you can. 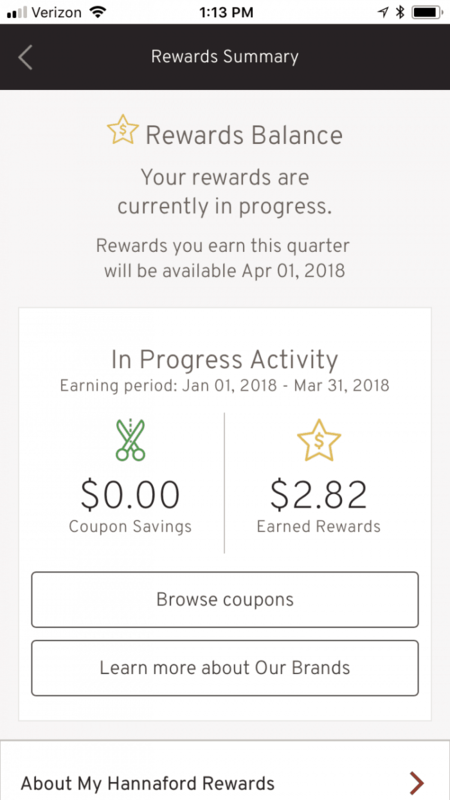 No matter how often you go to Hannaford, it’s worth creating an account at Hannaford.com or downloading the new Hannaford app – it takes 2 seconds and all you have to do is punch in your phone number or scan your phone at checkout. Boom. Every three months, you redeem your rewards through the app or the website. Yer done. Nothing more. No need to carry anything around on your keychain (talk about annoying), no plastic card to add to the stash in your wallet (I think I’m up to 50 cards and I never use any of them), just your phone number or your cell phone! Did I mention they give you coupons?! 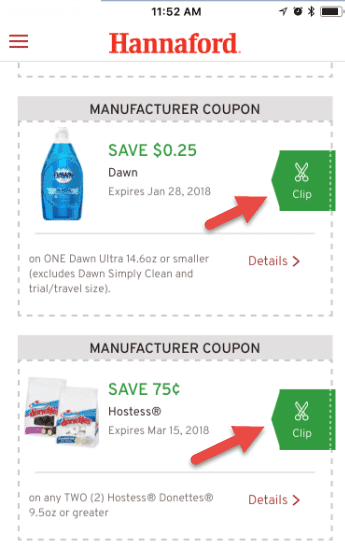 You can even search the coupons by category on your phone. Then just hit “clip” and you’re done. I’m telling you, it’s awesome. Cut the chicken into bite-sized pieces and season with salt/pepper as desired. Heat 4 tablespoons of oil over medium and heat and cook the floured (or un-floured) chicken for a few minutes on each side. Mix firecracker sauce ingredients together in a large bowl. Remove chicken from the skillet and drop into the bowl, mixing around to coat thoroughly. Place the chicken and sauce in a baking dish (the size is not important, just large enough to hold the chicken) and cook, covered, for 30 minutes. Scoop 2-3 tablespoons into the middle of each piece of lettuce. 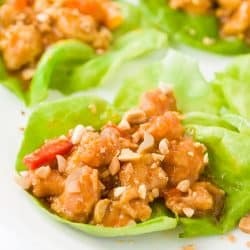 Sprinkle the top of each with diced peanuts and enjoy! WAHOOOO!!! So happy to hear that Bri, I wish I had some for lunch right now! 😉 Thanks for letting me know how they turned out! So yummy! Even hubby told me I could make it anytime!